"The world is filled with things to see." 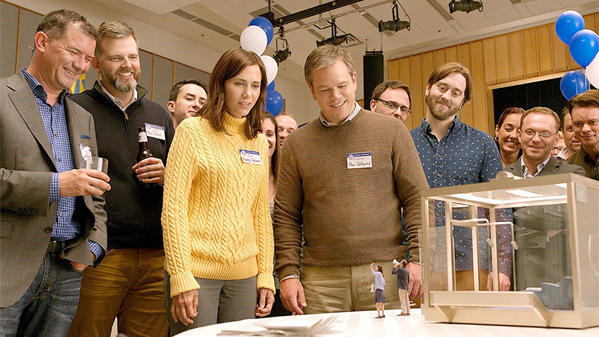 Paramount has debuted the first short teaser trailer for Alexander Payne's Downsizing, which is premiering at the Venice Film Festival today (hence why this trailer is out). This social satire from Payne is a hugely ambitious film where, sometime in the future, the Norwegians have invented a method to shrink humans down to a very small size - about 4 inches. The story follows Matt Damon and Kristen Wiig as a married couple who decide to get the procedure in order to live a happier, better life in a tiny city – and save the environment while at it. The cast includes Christoph Waltz, Laura Dern, Jason Sudeikis, Neil Patrick Harris, Udo Kier, Kerri Kenney, and Hong Chau. It is a totally wacky film but it has so much to say, and it's unlike anything you've ever seen. Put this on your radar now.